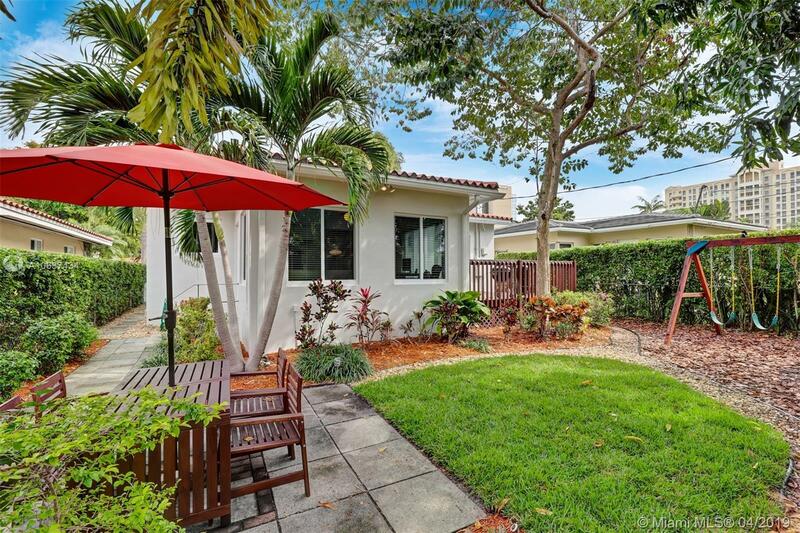 Come home to this beautiful, remodeled Coral Gables home 4 blocks from Miracle Mile's trendy dining, shopping and entertainment. Urban oasis with a lush, private backyard for entertaining. Mature trees provide shade throughout the year. Stunning original wood flooring, remodeled kitchen and bathroom, and top of the line PGT impact windows with low-e glass to block heat. Bright and airy Florida Room. Connected to municipal sewer( no Septic tank). Mapped to excellent public schools. Please look at conceptual plans under attachments which could be further developed to get a permit. Directions: Please Look At Under Attachments To See Conceptual Plans. Permits Will Be Needed.